With complete creative free rein, Jules curated every element of the performance. Each track has been bespoke reinvented and reworked in a style unique to this live show, featuring a full ten-piece band, with brass, percussion, drums, bass guitar, lead guitar, keyboard, singers, and of course Judge Jules himself. A 90-minute show from start to finish, the music has been selected to represent the breadth and scale of his career. This is not a show to sit down for – combining the energy of specially-chosen outstanding musicians with his own inimitable presence behind the decks, Jules will take the audience on a tailor-made journey through dance music with vocals, hands-in-the-air moments and plenty of basslines that’ll take you right back to your very first rave. With audiences demanding more from dance music and newfound focus on a visual as well as a sonic spectacle, Judge Jules Live is a chance for dance fans to lose themselves in the moment with the kind of experience that you just can’t replicate with a solitary DJ. 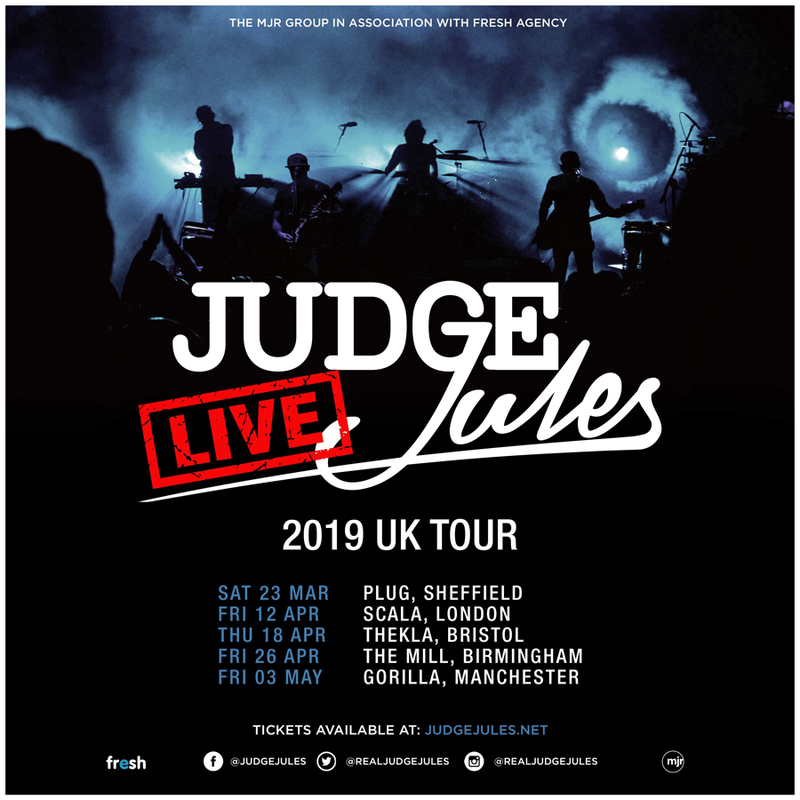 With the first club dates announced and festival dates to be announced, Judge Jules Live will be an exciting addition to live music in 2019. The Judge still won’t budge.